The present study investigated metabolic rate (MR) and gross efficiency (GE) at moderate and high work rates, and the relationships to gross kinematics and physical characteristics in elite cross-country skiers. Eight world class (WC) and eight national level (NL) male sprint cross-country skiers performed three 5-min stages using the skating G3 technique, whilst roller skiing on a treadmill. GE was calculated by dividing work rate by MR. Work rate was calculated as the sum of power against gravity and frictional rolling forces. MR was calculated using gas exchange and blood lactate values. Gross kinematics, i.e. cycle length (CL) and cycle rate (CR) were measured by video analysis. Furthermore, the skiers were tested for time to exhaustion (TTE), peak oxygen uptake (VO2peak), and maximal speed (V max) on the treadmill, and maximal strength in the laboratory. Individual performance level in sprint skating was determined by FIS points. WC skiers did not differ in aerobic MR, but showed lower anaerobic MR and higher GE than NL skiers at a given speed (all P < 0.05). Moreover, WC skiers skated with longer CL and had higher V max and TTE (all P < 0.05). 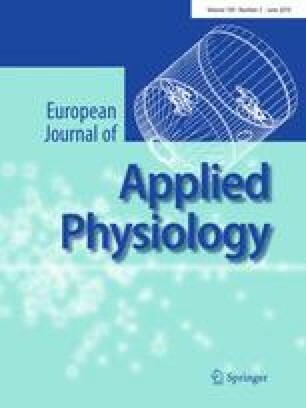 In conclusion, the present study shows that WC skiers are more efficient than NL skiers, and it is proposed that this might be due to a better technique and to technique-specific power. The study was financially supported by the Norwegian Olympic Committee, Mid-Norway department. The authors would like to thank the athletes and their coaches for their cooperation and their participation in this study.